Cassidy Mihalko, senior business administration major and guard at California Baptist University, surpassed a 2,000 career-point milestone Jan. 30 during the women’s basketball team’s 81-55 home win against the University of Hawaii, Hilo. Mihalko only needed 16 points to break the 2,000 career point threshold. Instead, she accumulated 25 points in the game against UHH. Humbled by the achievement, Mihalko said it is rewarding to be a top scorer on the women’s team. The athlete said the team does not like to focus on rankings. The Lancers are ranked No. 8 in the NCAA Division II. Mihalko said her next goal for the team is to be undefeated in the Pacific West Conference this season. Jarrod Olson, head coach of the team, commented on Mihalko’s talents as a basketball player on the women’s team. Olson said Mihalko’s contributions have been essential to the team’s success this season. Olson said he is happy the program is able to boast a player such as Mihalko. Mihalko will continue to lead the team through the rest of season toward a PacWest win. 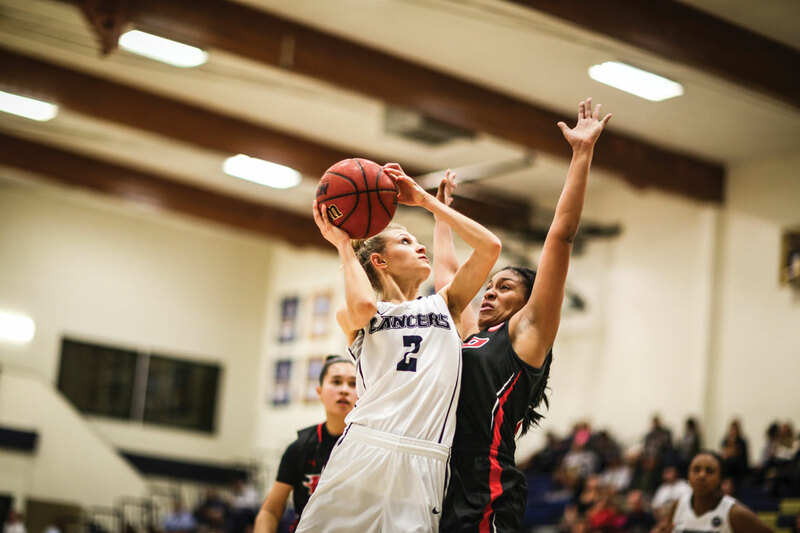 The Lancers currently hold an overall record of 24-2 and are preparing for their final home game in the Van Dyne Gym Feb. 27 against Point Loma Nazarene University at 5 p.m.